Power Facebook Marketing Tips - Amplification Inc. When Marnie and I started Amplification, Inc. over 10 years ago, I did my best to connect with as many “friends” (whether I knew them or not) as I could on Facebook. The platform was relatively new and paid / sponsored marketing was non-existent. You could “organically” get your message out to folks without a lot of work. No more. Organic traffic on Facebook started its decline when the platform monetized. This has caused the number of businesses paying for advertising (6+ million in the first quarter of 2018) to increase, which has, in turn, impacted organically posted content. According to Wordstream, only 2% of fans are seeing organic content. So: Where should you begin — and what should you post to optimize engagement? Get to one important selling point immediately. Differentiators matter. Short headlines work best. Perform A/B testing for validation. Calibrate constantly. Video is the best content to drive your message online, bar none. If you haven’t already started using video, it’s time to get there, the sooner the better. And tapping video content in a paid approach is many times more cost effective than anything else and conveys more of your message. 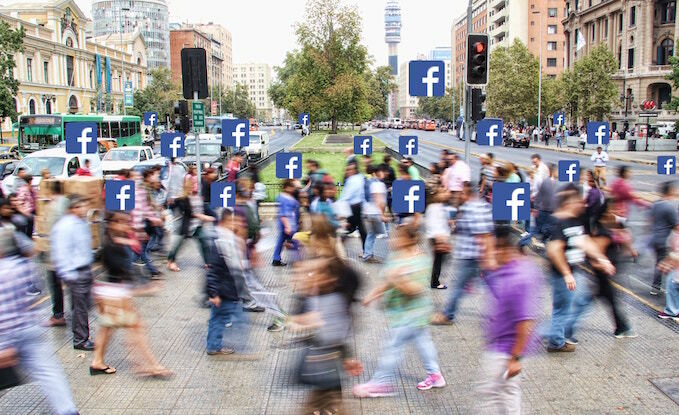 Nowadays there are ways to approximate the same reach online as you would with broadcast media, but it’s much more targeted and trackable. Tip 3: Don’t Constantly Sell! This is especially relevant for companies managing their social media inhouse. Consider how Facebook’s proprietary algorithm weights content: They ding you if it isn’t varied and this impacts your paid marketing costs. Tricky bastards. That’s right, if the content on your organic posting schedule isn’t up to Facebook’s quality threshold, your paid efforts cost you more. Remember NOT to simply try to sell to your audience. Instead, promote content related to your product/service with copy that is educational/instructional/entertaining so that you add value, not just solicit. After having been in marketing, advertising and public relations for 30 years, I still relentlessly A/B test different headlines, taglines, and ad copy points. And our team is still surprised sometimes. The landscape is constantly shifting and evolving. In a time when Artificial Intelligence is creeping in and ROBOT generated content is more prevalent, authenticity becomes vital. Speak to your target audience in a fun, relaxed, and conversational tone. This is a social space. Humans want to interact with other humans. Keep evolving your approach. Take time to study the data and inform new content and messaging. Tip 5: People Want Free Stuff! Remember these two words: Perceived value. No one wants something that has no perceived value but everyone wants something for nothing. If you can’t generate interest with a $20 Starbucks Card or Amazon Gift Certificate, up the value of the incentive. If you don’t know what a Facebook Pixel is, it is time to learn. A Pixel is proprietary and unique code that you plug into your website (easily) and then this drives a data stream and assists with all-important retargeting. Beside sharp copywriting, retargeting is a great path to driving more sales. And with upcoming changes taking place in ad targeting capabilities, installing your Facebook pixel will be more important than ever. This digital landscape demands constant data analysis and campaign calibration based on quantifiable metrics and may be best handled by a company like Amplification, Inc. We are plugged in to our client’s success. Contact us at info@AmplificationInc.com to schedule your digital marketing audit. Steve, you are just as bright and funny as your old man! And keep Marni right there, too! Thanks, David! I appreciate the read. Amplification, Inc has always been on the leading edge of FaceBook and other digital marketing, so reading this article from my social media gurus, made sense to me. The thing I like best about you guys is how you implement these marketing techniques and the results you achieve. If you say pixels, then it’s time to upgrade our websites with pixels.